Nutze die lichtvollen Kräfte des Universums und unterstütze deinen Planeten beim Eintritt in die Neue Welt und Neue Energie von QUIN'TAAS. Use the light-filled powers of the Universe to expand your consciousness and positively change your life. Heal yourself! What is the transcender app? With the Transcender-App you have the opportunity to bring about change and support or accelerate your personal development with more than 100 different spiritual energies in different areas of your being. An intuitively designed system, divided into individual modules, gives you access to a high-energy tool with which you can, for example, transform energies, dissolve various blockages, activate and expand your self-healing powers, expand your consciousness and much more. 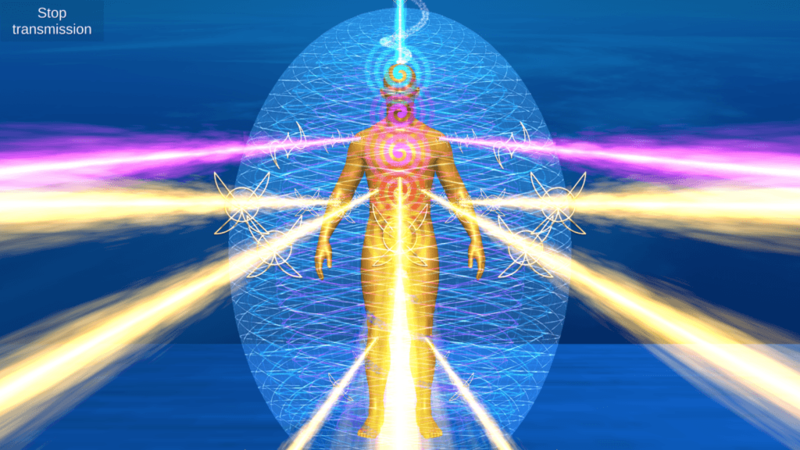 With this module, you have the possibility to work in all your energy fields. You can work with your chakras, treat individual organs, work with the aura layers and much more. 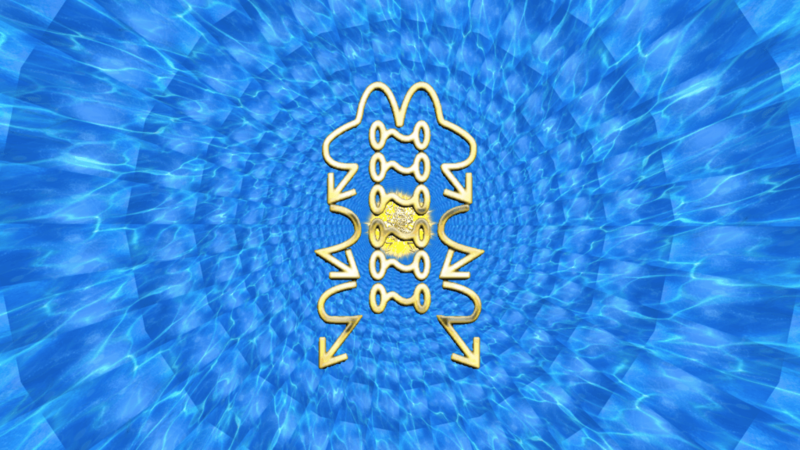 You can use this module to have energies transmitted directly through your device. Choose one of the five elements as a carrier energy and a crystal and place your mobile phone on your body, for example. With this module, you have the possibility to question the crystal energies and let yourself be guided by their wisdom. 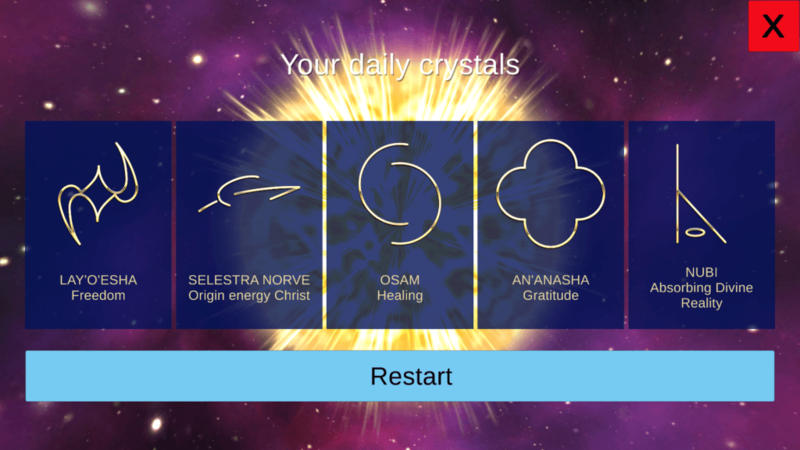 You can draw day crystals or let the crystals answer one of your questions. You can use this module if you want to do light work for our planet. There are more than 100 different energies at your disposal, which you can transfer into the consciousness of the planet, to the planet itself, to individual continents/countries up to a place/city or street. The Transcender-App, checks daily if a new daily sentence has been published and informs you with a notification. A compact version of the daily sentence, with the corresponding crystals, can be viewed in the „Energetic Session“ module. It is also possible to create a session from the crystals and start the transmission immediately. As you know, pictures are worth a thousand words. The video shows the function of the individual modules of the Transcender app. In the realms of Divine Reality, in the light spheres of the Universe, there are many light technologies. The release of humanity’s use of these technologies occurs whenever the collective consciousness of all human beings is ready for it. The Transcender technology has been released and can now be used by anyone who wants it. The Transzender app provides an interface that makes the application / use of Transcender technology possible. To activate the full functionality of the Transcender app and connect it to your light field, you have the opportunity to receive an initiation. The initiation is performed by Melek Metatron, the Eye of God, and can be done directly in the app or here on the website (see video below). The initiation is not a must, the app also works without this initiation. The symbols (called crystals) used in the Transcender App were received medially (by Sabine Sangitar Wenig) and brought to earth to bring the human, the highest light of the universe. The crystals are part of the light language ARI’SO’AM spoken in the divine reality. Each crystal carries the energy of a deity, an ascended master, or an angel. The crystals always work for the highest good of the one who uses them. Our beautiful planet is a living being and carries a loving and lightful consciousness. This consciousness and the planet itself, as well as all human beings, are in the greatest transformation that has ever existed since the beginning of time. United in the intention of love and light, WE will use this energy transmission to assist the planet in its transformational processes. 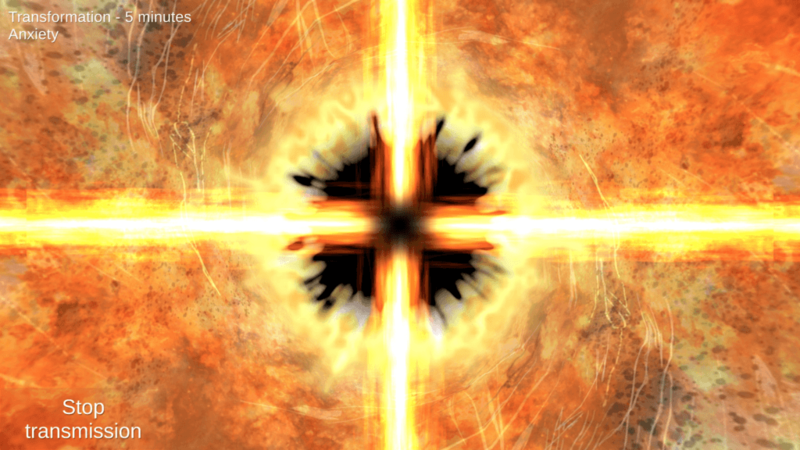 Connect with the large field of light of the group and feel the love that unites us all. Let the planet feel your love and receive the deep gratitude that the consciousness of the planet will give you. 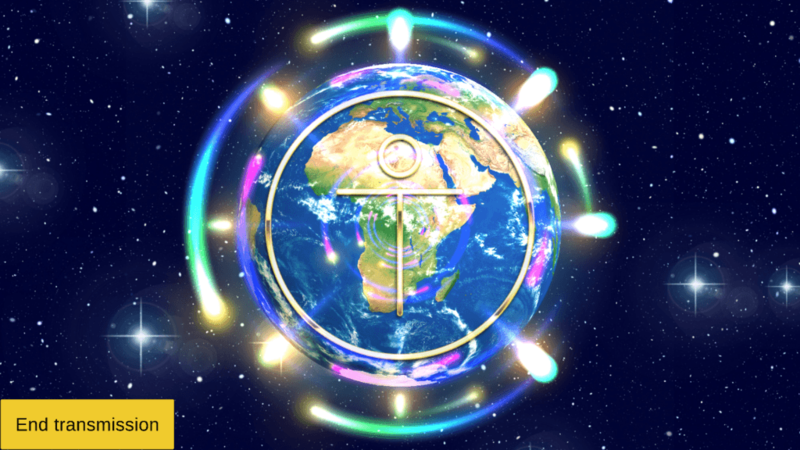 The World Planet Healing Sessions are held twice a month (Sundays at 16h UTC). It is a great honor and pleasure for me to invite you to attend the group healing sessions with the Transcender App. I will act energetically with all my love, my light and my abilities, deeply connected with the high lights of the universe, in accordance with your soul, for you to your highest good. In deep anticipation of the upcoming group healing sessions, I send you the light of love, freedom and peace and wholeheartedly thank you for your trust. 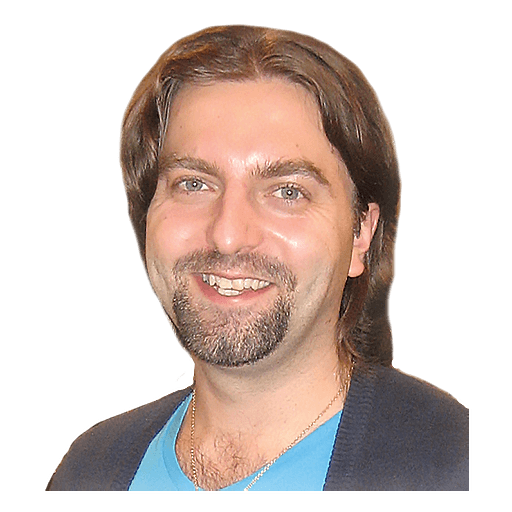 The group healing sessions take place twice a month (Sundays at 16h UTC). You have the opportunity to test the full functionality of the Transcender-App, for 30 days free of charge. This requires registration (also free of charge). This is not a subscription! THE PLANET TRANSMISSION MODULE CAN BE USED AT ANY TIME FREE OF CHARGE. To get full access to all modules and functions of the Transcender-App you need a premium subscription. If necessary, the price will be converted to your local currency (valid only for Google Play Store and Apple App Store). With a premium subscription, you can use the Transcender App, on your mobile devices, as well as the browser version on a desktop PC. Instructions for using the Transcender App, help and support can be found in the Support section. I am Nijaz El’Nama’Dilaih Tanjo. I have developed the Transcender app to give everyone access to the light and wonderful energies of the Universe. The spiritual knowledge that I have received through intensive training over the past 20 years combined with my training as a computer scientist has led to this great tool being developed. I wish you a lot of joy, love and light with the Transzender App and thank you for your trust. The use of the Transcender-App does not replace the diagnosis or a visit to a doctor or alternative practitioner. The application is voluntary, without specification and at your own risk. Therapies of any kind, as well as medication should not be discontinued without consultation with the doctor or alternative practitioner, etc. No diagnoses are made and no promises of healing or alleviation of symptoms are made, but the self-healing powers are strengthened.